If, like many employers, you have policies and procedures in place which mandate drug and alcohol testing following a workplace accident you should be aware that the rules governing such testing have changed in a significant way. Although the new rule became effective August 10, OSHA began enforcement on November 1, 2016. What do these rules have to do with testing employees for drugs and alcohol after an accident? OSHA maintains, and a number of studies have concluded, that “blanket post-injury drug testing policies deter proper reporting.” In other words, employees may be discouraged from reporting an accident when they know that they are going to be drug-tested after reporting it. For example, suppose a fellow employee operating a forklift spills his load and injures me. Even though my behavior and actions had nothing to do with causing my injury, I may be reluctant to report the accident if I know it leads to my being drug tested. Maybe, I smoked marijuana the night before the accident and I am concerned that there may still be THC metabolites in my system. Employers are not required to have specific reasonable suspicion of drug or alcohol use or impairment before testing but they must demonstrate that there is a reasonable possibility that drug/alcohol use by the reporting employee was a contributing factor to the reported injury or illness in order to require drug testing. 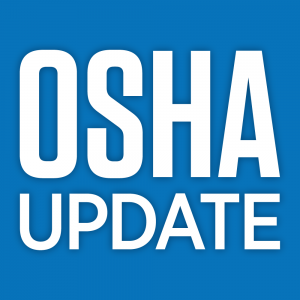 OSHA’s commentary on the new regulations does provide some examples of what it considers to be unreasonable testing: bee stings, repetitive strain injury, or an injury caused by a machine failure or a tool malfunction. OSHA has made it clear that it is not their intention to ban all post-accident testing of employees. Rather the new rule requires employers to strike an appropriate balance between” blanket testing” and “no testing” by testing only in those situations where it makes sense to test. Violators of these new rules face the risk of penalties of up to $12,000 per violation and over $120,000 for willful or repeat violations. The bottom line here is that if your company has a post-accident drug testing policy in place it’s time to have a conversation with your attorney to ensure that your policy meets the newest standards put in place by OSHA. Are you aware of any training materials i.e. video or on-line that I could provide to my managers. I can only find reasonable suspicion training related to DOT and drivers.